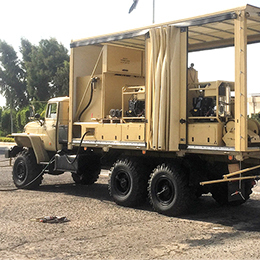 Multitasking Decontamination Equipment provides three Decon Solutions such as low pressure (decontamination of people and Grounds), high pressure (decontamination of Vehicles and Materials) and steam (Decontamination of Materials). 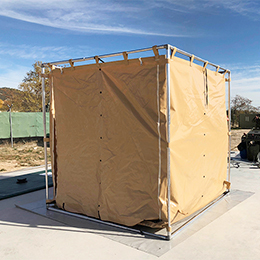 The innovative modular design provides First Responders and Hazmat Response Teams with versatile decontamination equipment which can be adapted to the management of any Hazmat incident scenario. Autonomous system in combination with decontamination lances or decontamination showers. 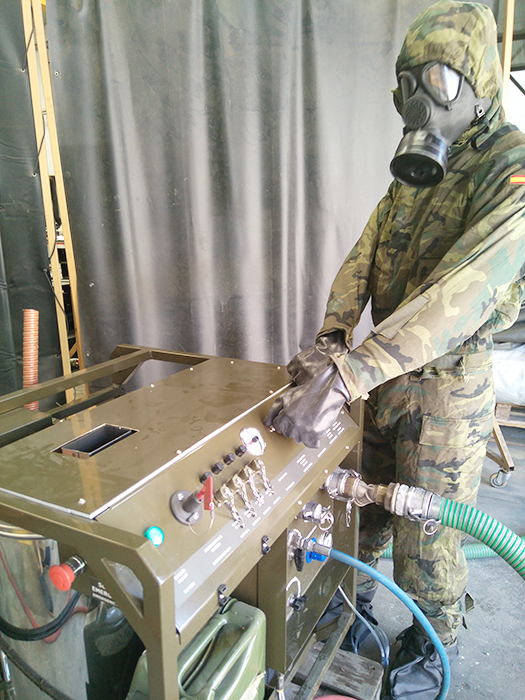 Integrated in CBRN rapid deployment decontamination systems to assure a quick and effective response in city centers, protection of critical infrastructures or open field. 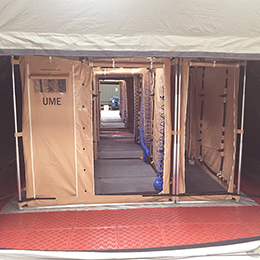 Integrated in Mass Decontamination Stations. Either vehicle decontamination or people decontamination (in case of Hazmat incidents with large number of casualties). 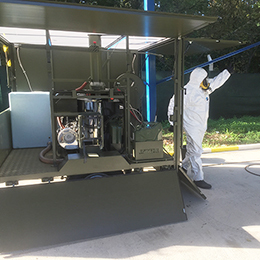 ATILA Decontamination Equipment consists of decontamination capabilities to manage any CBRN incident with chemical, biological or radiological agents. ATILA is available in two versions such as electric or fuel power. It consists of a wide range of accessories such as decontamination shower (for people decontamination), decontamination lances (for vehicles, equipment or materials decontamination), ground decontamination bar (for ground decontamination), etc.